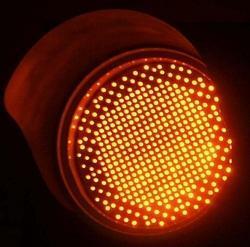 We hold expertise in offering Amber Traffic Signal Light(Amber Full Circle), which is available in 300 mm 200 mm diameter size. 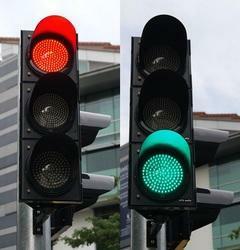 This Amber/Yellow traffic signal is also available with commonly used symbols. 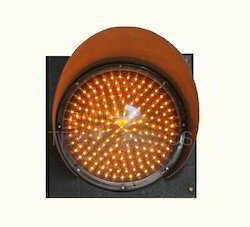 We manufacture these Amber Traffic Signal as per the industry standards and norms using superior quality raw material and advanced machines. Packaging Details: Product has packed in corrugated box, with Tapped Locking Strip, and Wrapped by water clear Plastic. Carton Box, Bubble Paper. Over Head Lane Signal (OHLS) manufactured by TRAFITRONICS is installed at the toll plazas at the top. 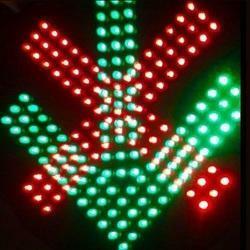 The Cross Symbol in Red LED and Arrow symbol in green LED is assembled in the same unit. When a particular lane of toll plaza is open, the green arrow operates indicating the vehicles can enter that lane and can pass through. When a particular lane of toll plaza is closed, the cross red symbol operates indicating that the vehicle should not enter the lane. This signal is easily visible from more than 500 meters distance.PCB Power supply is securely mounted in polycarbonate housing to make in Shock Vibration Resistant. Packaging Details: Carton Box, Product has packed in corrugated box, with Tapped Locking Strip, and Wrapped by water clear Plastic. 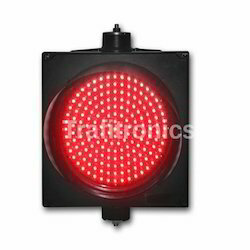 In compliance with set industry standards and norms, we are engaged in offering superior quality Red Traffic Signal is also known as Led Traffic Signal (Red Full Circle). 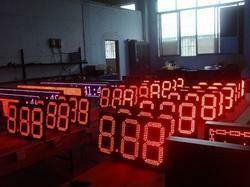 Our offered Red Traffic signals are also tested on various parameters so as to ensure their adherence with set industry standards and norms. Our organisation is engaged in offering supreme quality Green Traffic Signal is also known as LED Traffic Signal (Green Full Circle). 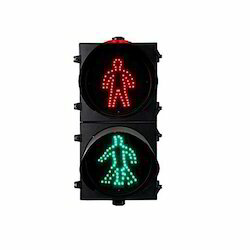 We offer these Green Traffic Signal in 300 mm and 200 mm diameter sizes to meet the diverse requirements of our clients. 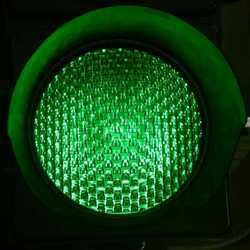 Moreover, the Green Traffic Signal offered by us tested on various parameters so as to ensure their adherence with set industry standards and norms.